Read more organ donation stories. Next Post: Reap What You Sew Generosity Project. There’s always gratitude … fills the heart!! You are very welcome!! Great post …. 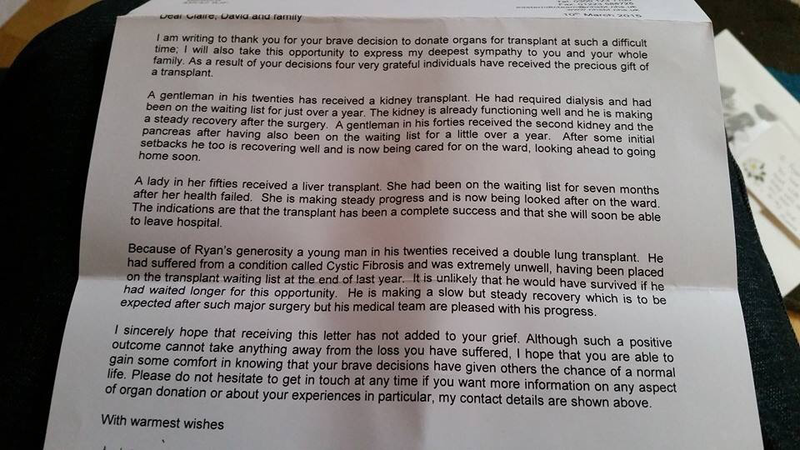 That’s a wonderful letter to let the parents know that their son saved lives. Thanks for sharing this. Your friend’s son is helping others. What a gift.